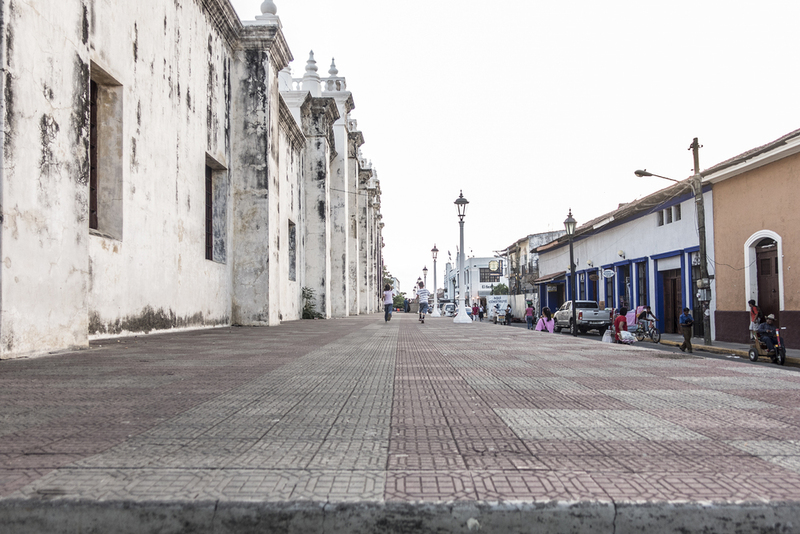 Granada is the colonial jewel of Nicaragua, a vibrant and noisy town on the shores of Central America’s largest lake. I spent an afternoon wandering it’s historic streets alone, but found company when I settled into a bar stool and a hard-to-find Warriors playoff game. Luke and Renée, an Oakland couple celebrating their first anniversary, made fast friends. She is a graphic designer and he a sports fan, so conversation started easily and quickly evolved. They invited me on a tour of the nearby Santiago Volcano, allegedly the seventh most active in the world (a quick Google search won’t confirm it - I’ve become accustomed to locals being generous with world rankings). Late the next afternoon, we boarded a white van and drove 45 minutes to the unremarkable park gates, and took our place in a long line of idling cars. An hour later we parked at the rim of a crater. Just below, A cauldron lava lit up the night like a feverishly boiling pot of radioactive paint. No amount of the Nat Geo could have prepared me for my first glimpse of melted earth. I was awestruck. The next day provided another kind of highlight: a teeth cleaning for about the price of a beer. After a brief wait on a bank of plastic chairs in a musty waiting room, I was ushered into a dusty, green room, seated in a rickety pleather chair, and covered with paper towels. The hygienist then rummaged through a rusty box of tools, found her implement, blasted her spotlight into my eyes and mouth, and set to work raking the backs of my teeth and gums. My comfort didn’t concern her much - my eyeball was her preferred wrist support, and she often spun my head roughly instead of moving her chair - but my teeth were clean in record time. The experience left me with a new appreciation for first-world dentists, but their mechanized chairs, flat screen televisions, fish tanks and party favors suddenly sounded like overkill.